Last year, we had our most effective campaign ever on a platform called “Rootfunding.” This platform allows our supporters to each set up their own fundraising page and commit to finding 10 friends who are willing to donate $25/month each. A small handful of fundraisers were able to bring in over $1,000 a month in revenue — money we can count on to pay the children’s rent and tuition every month, and to pay our beautiful staff a living wage. 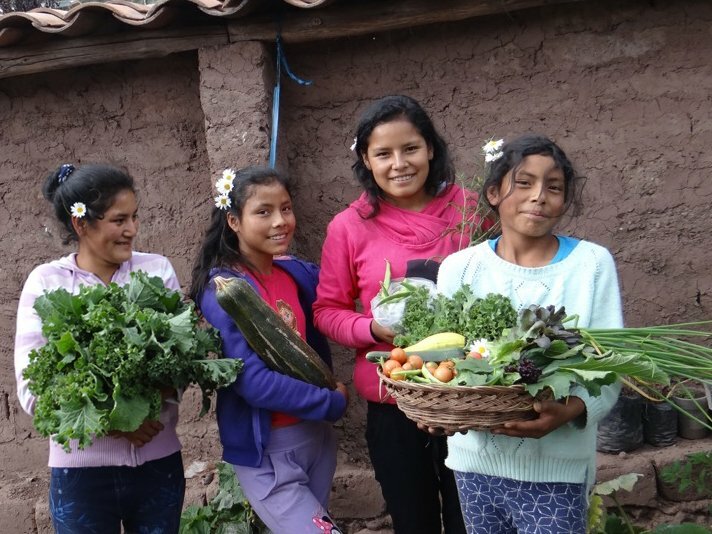 It’s time for another Rootfunding campaign, and we’re hoping for an even larger success. If we can generate $3,000 per month in revenue, we will be able to pay all our bills and staff salaries every month going forward. It’s hard to even imagine living in peace and prosperity after our long dark struggle. — If you’re not already a donor, consider joining us with a pledge through the new campaign at this link. Talk to your friends. 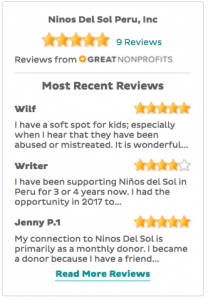 Replace Rootfunding’s default text with a couple of paragraphs telling why you love Niños del Sol. I recommend starting with the sentence “Can you give just $25 a month?” because it will show up in Facebook sharing and it lets people know what you’re asking at the very beginning. Choose a photo. You can replace our video with your own image or video if you want. A photo of you with some of the kids will be very powerful, if you have one! Share your campaign on social media and by e-mail. Keep sharing until you’ve reached your goal! You may only get one donor each time you share, so don’t give up!Last year I shared my page about 3-4 times a week and it took 3 weeks to meet my goal. That’s it. If you’d like to see what a branch campaign looks like, check out my page at this link. Note at the bottom I said “We are a 501c3 charity in the United States. 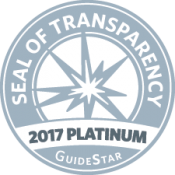 We hold a Platinum rating from Guidestar, and Great NonProfits has named us a 2018 Top-Rated NonProfit.” Giving people this information helps them know they can trust us to manage their funds well. Thank you, always, for your financial and emotional support, and for the trust you place in us. We are grateful every day for our donors, supporters, and friends around the world.